If you are a single person anywhere in America, you probably eat out a lot. Dining out is the default activity when you’ve forgotten to make more interesting plans with your friends. Some of my friends in Denver have credit card bills made up largely of restaurant expenses. We all say we’re going to cook, then one thing leads to another, then suddenly it's 9:00 at night. Ultimately a girl’s gotta eat. It can really add up. The year before moving to Mexico, after a losing streak of a half dozen bad restaurant meals in Denver, I issued an “enough” proclamation. No more expensive dinners out. I’d had enough of limp salads soaked in vinegary dressing, flavorless steaks or those disgusting little $7 designer tacos with exotic fillers that are all the rage right now. Since living In Mexico, I have inched back to the table. Most nice dinners/drinks out will cost me less than $20 dollars. At that price, I'm willing to venture back out. I have had the best meals I've ever eaten here. Mexico has been globally rated to have some of the best cuisine in the world. Yes, I have had bad meals in Mexico too, but I haven’t invested $40 or more to find out where they were being served. In fact, the last time it happened, a huge fish taco in a shell so orange in grease that I couldn't eat a bite, the owner insisted on my not paying, not even for the drink. Taking a corner table, I ordered fresh dorado (mahi-mahi), which they prepared much like a crab cake but without any of the filler. It lightly seared with a little red and white cabbage on a pool of guacamole sauce, along with a molded white rice salad and fresh bread. A 20% tip has become standard for any service at all in the U.S. A good tip in Mexico is 10%, perhaps 15%. Adding 24 pesos for the tip brought my fabulous, fresh, beautifully presented meal in an upscale restaurant in at $9.25. For a heavier meal during the day, you can go to a fonda, charming, casual restaurants where Mexicans go to for their mid-day meal at about 2:00 p.m. These restaurants often look like houses (wait a minute, I think some of them are houses) and serve a prix fixe meal of soup or stew, beans, rice, entree and drink for about $4. Delivery costs less too, a meal may be $8 including tip for Italian, Indian or Chinese food delivered via an ice-chest on the back of a kid's motor scooter (Perhaps featuring a sign, "If the guy driving this scooter isn't wearing a uniform, it's been stolen! Call the police!_) Usually in a delivery, you have enough for two meals. In Mazatlán, even smoothie places deliver. Most singles I know in Mexico barely cook at all. They don't have to. Why would you when you can have a few tacos pastor, the kind where the meat is carved from a vertical spit, for a dollar or two? The only drawback about eating out in Mexico as a single person is that restaurants usually don’t have a bar you can eat at. In the U.S., restaurants have long saved traveling salesmen and others who find themselves alone and hungry from the ignominy of sitting alone at a table. Mexican restaurants most like only have tables, usually of full parties of Mexicans wondering why you are eating alone. Mexicans are uncomfortable seeing people eating alone. Walk into one on your own and you likely will be swarmed by servers who feel sorry for you. You might be introduced to everyone in the kitchen. You will get the best service... ever. Fortunately, for those times you really do just want to be alone, you can get "para llevar" (to go). I even go into places with a plate from my apartment. I ask them to put the food on the plate, rather than crammed into a syrofoam box, and wrap it up that way so I can get back to binge on the any of a number of greate Netflix series in Spanish like Chicas de Cable. They really will do anything for you. It's utterly adorable. Going out to eat in Mexico lets you return to dining the way it’s supposed to be: relaxing, gratifying and inexpensive enough that you leave only thinking about how delicious it was and how soon you can go back. Ventanas in Mexico on Pinterest - Ingredients taste differently in Mexico (beef especially) and that will really screw up your cooking. These recipes have been tested in Mexico. Next up: Music has always transcended language, try these musicians. Most recent: Getting started on your Spanish in a new year with games and fresh tools. Hola - I am a partner with Ventanas Mexico which provides insight and resources to people considering expat life in Mexico. 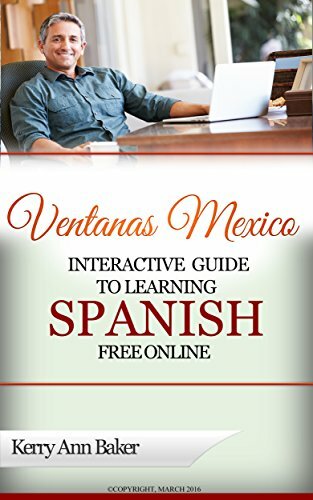 I also am the author of the "Interactive Guide to Learning Spanish Free Online," a curation of the best Spanish language tools on the web, organized into lesson plans and recently, "If Only I Had a Place," on renting luxuriously for less in Mexico. 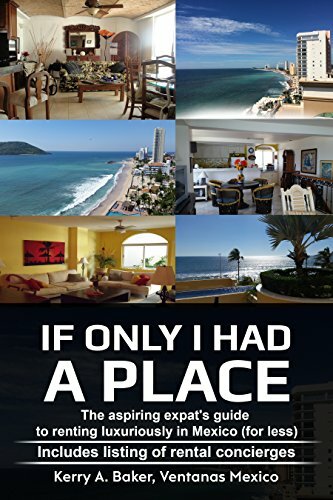 This book gives you all the pitfalls and advantages you have as an expat renting in Mexico.